My tenth book of the year. Although maybe I should say, 9.5th book, because I didn’t finish it. I tried for a long time and got to about halfway, but it couldn’t hold my interest. The book is about a psychologist and his clients. Most of the book (at least what I read of it) takes place in his office, where the psychologist receives his clients. While these clients are talking, the psychologist often thinks about completely different things, for instance, looking back on past events. This was confusing, especially in the beginning, when it often wasn’t clear whether what was happening was a real-time or remembered event. What was mysterious and somewhat interesting, was a client who claimed to be his half-brother. The psychologist only half believes him but keeps treating him as a client, and therefore does not make any attempts to find out more about this alleged brother and whether his claims are correct. That was weird. I did want to read on to find out whether this was really his brother, but didn’t find the other story lines interesting enough to keep going. Well written, very introspective, a bit weird and confusing. I may try another of Busch’s books at some point, but this one didn’t keep my interest. 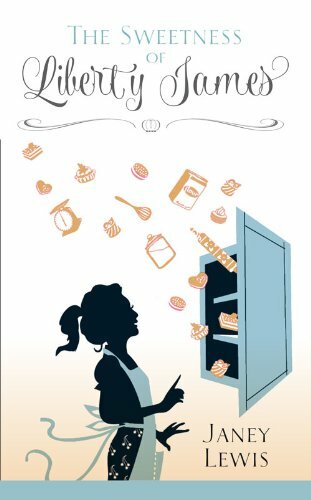 From the publishers: “Sweet-natured Liberty believes the recipe for her own happiness is making others happy, and she sets about gathering the ingredients for the perfect life. She does well at school, makes glamorous friends and marries her university sweetheart Percy, the heir to the Radley Bank fortune. Now all that’s missing is the icing on the cake: a baby. Let’s start at the end: I never got there. I read about half of the book and then I’d had enough. The reason: the book is too nice. Everything goes well for Liberty, except near the beginning, when her marriage goes wrong. But other than that, she has everything going for her. She wants to set up her own café, and hey, her mother helps her out getting sorted, the café premises are easily found (and paid for by Liberty’s liberal savings). She finds a lovely house to live in, buys it without too many glitches and she has a whole community of friends and family and villagers to support her. It’s wonderful! But with all that, Liberty didn’t need me, the reader, to root for her. It went all a bit too smoothly for her. So I was happy to let her loose to find her own way in life. I know she’ll get there! I really don’t have to worry about her, so I decided I wouldn’t and move on. There were also certain things I didn’t understand, such as: what was the use of Liberty first losing her sense of smell and taste and later recovering it again (without much fanfare being made out of this great recovery), why did her husband take her to Florence, why did her childhood friend Savannah know absolutely nothing about Liberty’s current life even though their parents lived in the same village? Not everything in this book added up for me. What I really liked about the book were the descriptions of the village and of Florence where she goes for a short holiday with her husband. The atmosphere is so well described, in both cases, it felt very much as if I was present myself. I would have liked things to be a bit more difficult for Liberty so the story wasn’t quite so sweet. And had the book been around half the size it was, I’d happily read until the end. A new book by David Vann! After reading Legend of a Suicide, Caribou Island, and Dirt, another novel by one of my favorite authors! Or… ex-favorite authors. Possibly. You see, I didn’t finish Goat Mountain. I knew Vann’s books are dark, with suffering and/or death. With people that don’t think straight, have something wrong with them. In this case, it was too much. Too much! 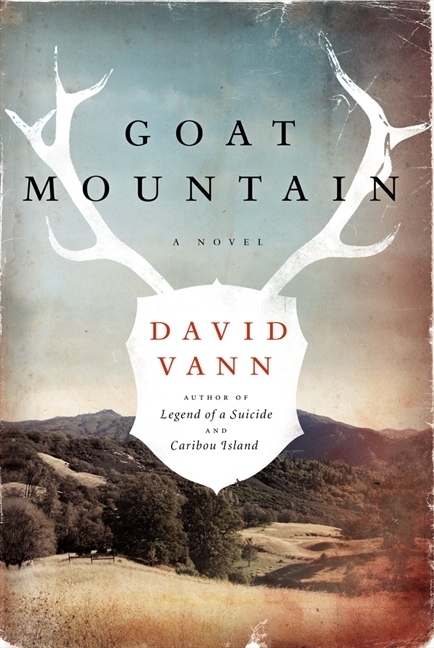 The publisher says: “In David Vann’s searing novel Goat Mountain, an 11-year-old boy at his family’s annual deer hunt is eager to make his first kill. His father discovers a poacher on the land, a 640-acre ranch in Northern California, and shows him to the boy through the scope of his rifle. With this simple gesture, tragedy erupts, shattering lives irrevocably. 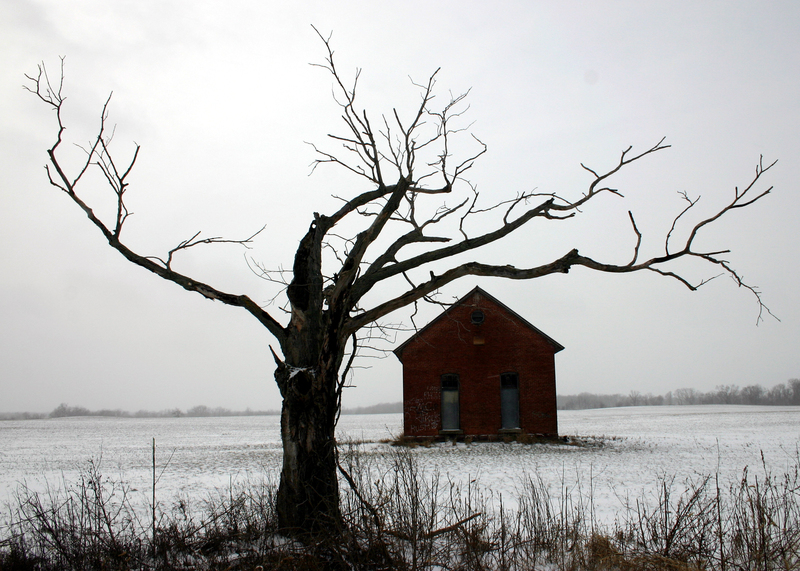 This is an exploration of what happens to three generations of a family when the youngest kills a person by accident. There is a fourth person, Tom, who is a friend of the family. He observes the situation without being influenced by family relations and so, acts as a kind of conscience for the group of men. My father moving fast. I struggled to keep up. The slope gentle, but rocks everywhere. Only the second of these short sentences is a “proper” one. This way of writing gives an almost sensory feel: things are not normally observed in whole sentences, people see, hear, experience bits of information. That is a beautiful way of getting the reader to feel part of the landscape and the story, but the amount of it started to bother me. It didn’t feel natural after a while. What I did like, as always, is the description of nature, nature being bigger and powerful than man. The story is too drawn out to me, nothing much happens. This probably is fitting for this kind of novel, but it was too slow for my enjoyment. The eleven year old boy, from whose perspective we read the story, observes his grandfather’s and father’s reactions to the accident and further actions towards him (the boy). They try, but have great trouble, to deal with the situation at hand, and to find a way to deal with it in the long run. There are a lot of outright biblical references which were sometimes quite astute but I soon bored of them. There was little subtlety in the comparison between the boy and certain biblical characters. I haven’t even mentioned the moving around of human and non-human bodies, and the extensive description of slaughtering an animal and the smell of dead bodies. The flies. Both on the philosophical/psychological level and the physical descriptions of the book, it was all rather too much for me. This story was too indulgent, too much wallowing, too personal, and maybe even too realistic. I read about 170 pages and then I really had enough of it.